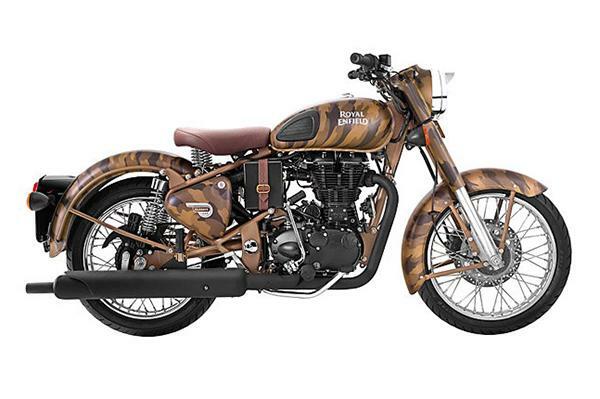 15 Limited Edition Stealth Black Royal Enfield Classic 500 Goes on Sale! Royal Enfield, the global leader in mid-size motorcycle segment (250-750cc), today announced a unique online sale of 15 limited edition Stealth Black Classic 500 motorcycles that were part of National Security Guards’ Motorcycle Expedition ‘Fight Against Terror’ ride in September 2017. Aptly called ‘Tribute to the Bravehearts’, the sale will go online on December 13th 2017 on www.royalenfield.com/bravehearts, wherein interested buyers can register themselves and express their interest starting December 8th 2017. To be decorated with a unique NSG insignia, the motorcycles are distinctive and offer buyers an opportunity to own a part of history. The entire proceeds from the sale of these 15 motorcycles will go to Prerna, a not-for-profit initiative supported by NSG for differently abled children. Royal Enfield’s recently launched Stealth Black Classic 500 motorcycles were a part of NSGs 40 day motorcycle expedition, aimed at spreading awareness about fighting terrorism and serving the nation. Covering over 8000-kms across the length and breadth of India on these motorcycles, 15 Braveheart Black Cat NSG Commandos spread the message of collective responsibility towards fighting terror among citizens. This NSG motorcycle expedition also commemorated the NSG’s 33 years of service to the nation. Flagged off on 07th September 2017 by Mr. Kiren Rijiju, Union Minister of State for Home Affairs of India, 15 Black Cat commandos of NSG rode across NSGs Kolkata, Mumbai, Gandhinagar, Hyderabad and Chennai bases and culminated their expedition on 16th October 2017 at the NSG headquarters in Manesar, Haryana, wherein they were felicitated by the Vice President of India – Shri Venkaiah Naidu. To make the ownership experience more memorable and special, the motorcycles will feature special insignia commemorative of the ride and the journey undertaken by the commandos across India. Classic Stealth black 500cc is the latest color variant of the best-selling Classic franchise which is equipped with both front & rear disc brakes. The Classic 500 is one of the most successful products from Royal Enfield’s fleet, and plays a key role in its road to being the leader in the mid-size motorcycle segment in India. The motorcycle is cherished for its reliability and simple, yet drop dead gorgeous classic styling. Royal Enfield’s tryst with the Indian armed forces dates back to 1955. Since then Royal Enfields have been the most popular and trusted steeds of the Indian armed forces due to its resilience, durable design, and manoeuvrability across terrains.